Ah, the sea. Inspiring poetry and signature cocktails alike, the Pacific and its glassy blue surface were the muse for this signature cocktail by Matt Mount and Heather Hawksford of Portland drink catering company Merit Badge. 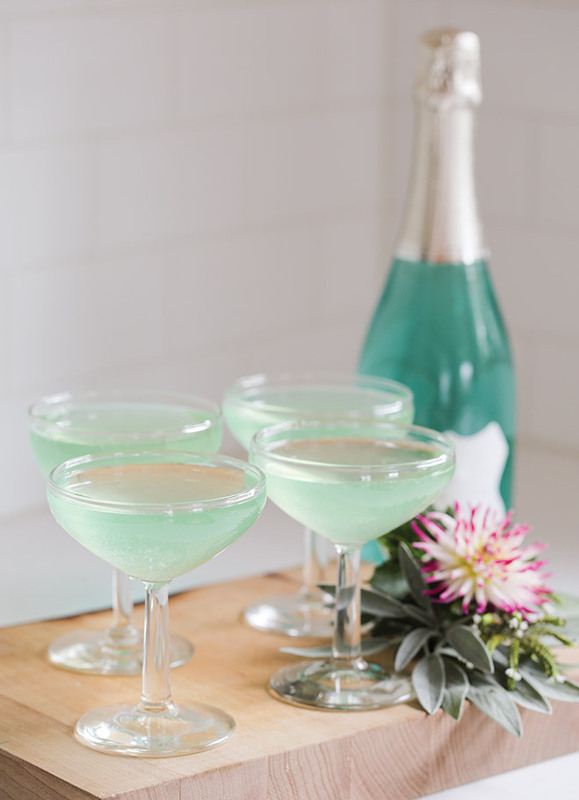 Called the Bleu Neruda, it blends Blanc de Bleu, a sparkling grape wine with a hint of natural blueberry with locally made spirits such as Townshend’s White Rose tea spirit blended with roses and white tea. “The idea of sparkling wine and crashing waves is so romantic we had to put some roses in there too,” says Hawksford, who pays tribute to poet and ocean-lover Pablo Neruda with the cocktail’s name. Combine White Rose, grapefruit bitters, honey syrup and lemon in shaker and add ice. Shake hard for 6 seconds and strain into champagne coupe glass. Top with Blanc de Bleu and express lemon oil from rind over finished cocktail.